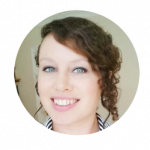 Lizzie writes content for brands that want to share their story and connect with their customers. When she’s not crafting juicy narratives, you can find her digging into the latest business studies and reading about emerging startups. Connect with Lizzie on LinkedIn. New Business + Virtual Office = Match Made in Heaven? When you start a business, you want it to have a professional image. That means a proper address and phone number in an area that is well-respected. If that sounds pricey to you, you’re not alone. Lots of new business owners think that in order to give their start up a corporate image, they need to break the bank by leasing fancy offices in the best part of town. But this doesn’t have to be the case. With a virtual office, you can get the professional image your new business needs without having to lease or buy expensive office space. You can rest easy knowing that you don’t need to hire a receptionist, buy brand new office equipment, and get a separate phone line either, because a virtual office can do all of this and more. For the next ten minutes, you can dig deep into the legalities of setting up a business using a virtual office as we break down the process into simple, easy-to-follow steps. Our aim is to make all the jargon as coherent as possible so you can get a clear idea on what’s involved and why this might be the right route for you and your fledgling business. Hey, there! Want to streamline your remote business? Get a professional Virtual Office with mail forwarding, appointment scheduling and live receptionist services. You’ve probably heard of LLCs and business entities, but you might not know exactly what they are. And first, we are not lawyers, and cannot give advice. We advise that you speak to an appropriate tax advisor or lawyer to help you best understand your options to protect your personal assets such as any savings, your home, etc., when setting up your business. There are different levels of entities, starting with sole proprietorship – which is not actually a legal entity – and moving up to corporation level. The entity you decide on will be determined by the kind of business you run and whether you want to keep your business separate from your personal assets and personal taxes. Sole proprietorship is not a legal entity you can be as a business – so basic, in fact, that you don’t need to apply for it or fill out any forms to get started. Instead, it just automatically comes into play when you start engaging in business by and for yourself. A kid selling lemonade on a corner is a sole proprietorship; a service provider working as a one-man-show is a sole proprietorship if no legal entity is created first. Sounds simple and like the easiest option, right? Except with a sole proprietorship your personal assets aren’t protected, and if you are sued or become unable to pay business debts, you are personally liable, and you and your business are considered as one when it comes to paying taxes. An LLC is the most common form of business entity. It protects everyone in your business, from your members to your managers and everyone else in between. The most beneficial thing about registering your business as an LLC is that your personal property is well-protected (unlike in a sole proprietorship) as it is separate from your business, given you follow certain guidelines of keeping your business separate from your personal. With an LLC, yours and any partner’s property is considered completely separate from your business and is treated as such when it comes to tax, legal processes and business debt. Some states allow single-member LLCs, which means you are considered the one and only owner of your business. However, it’s often a better idea to get a partner on-board for liability purposes. This doesn’t mean giving up a large chunk of the profit pie, though; a partner can simply own 1-2% of your business and it can be someone like a family member or a close friend. You can easily do this all online with your Secretary of State or Division of Corporations. Registering your business as a corporation is like leveling-up from an LLC. Corporations are completely unique entities, making your business decidedly separate from you in every way possible. This means that if your business is a corporation, you also have to adhere to a different tax structure. The tax for these entities is charged at a corporate tax rate rather than a personal one, and is based on the profits made rather than a business’s gross income. Using a virtual office as a registered agent address can be tricky, depending on how you set it up. Many virtual office providers offer the registered agent option as an additional service because “service of process” mail (SOP) and mail from the secretary of state must be handled differently than commercial mail. For example, many virtual office clients may have their commercial mail forwarded once per month. If they register their LLC using that virtual office address without setting up a way to handle SOP and other entity documents, they may not receive important notices in a timely manner. Many recommend a more frequent forwarding at the least, or best, set up the option with your virtual office provider to handle SOP separately from commercial mail. This usually comes at a slightly higher fee. Once you’ve registered your new business as an entity, it’s time to start thinking about business licenses. Simply put, these are permits that are issued by specific government agencies that allow you to run your business in a certain location. There are two kinds of business license: federal and local. The type you need will depend entirely on the kind of business you’re running and the activities you plan on carrying out. Each type monitors a different range of activities, so it’s worth checking your government’s website to find out where your business falls. Federal licenses are mandatory if you’re carrying out activities that are regulated by a federal agency. This includes things like agriculture, fishing, mining, and broadcasting. Permits are issued by different governing bodies depending on the type of activity. For example, if your business is in the broadcasting industry, you need to get in touch with the Federal Communications Commission. Here is a guide to the different kinds of business activities that require federal licenses and the governing body that controls them. Local business licenses are supplied by your state or city and are determined by local laws. Where federal licenses pertain to certain kinds of business activities, a local business license means adhering to your state’s specific business regulations. In order to set up your business license, you often have to have a commercial address that has to be a licensed business as well. You increase your chances of getting rejected if you use a non-licensed business as your address. If your business requires a local business license, it is advisable to work with your virtual office provider to put the right business address and its associated business license information when you fill out forms for your license. Many virtual office providers like Alliance Virtual Offices are service companies and are not required to have a business license, but can advise you of the proper address and entity to put on your forms. All new small businesses need to establish business credit in order to maintain a credit history that’s separate from the owner’s personal credit history. Building up business credit with the banks will mean you’ll reap the benefits of having a good credit history. Step 1: Incorporate your business. We mentioned this earlier, but in order to get a separate credit history for your business, it needs to be registered as an LLC or a corporation. Step 2: Get a federal tax identification number (EIN). You’ll need this number for all federal tax filings and to open a business bank account in the first place. Having a corporate address and a landline phone number (you can’t use your personal address or cell number). Use your virtual office address and your VOIP number that’s listed in the 411 directory, as having a commercial address and a local phone number that’s not a cell will increase your chances of getting approved for credit. Step 4: Open a business bank account. Make sure you open it in your business’s legal name and remember to steer any transactions for your business through this account. Step 5: Get a business credit card. You’ll need at least one business credit card to start building credit on. Choose a card company that reports to the credit reporting agencies. Step 6: Nurture vendor relationships. Nav says that one of the easiest ways to build business credit quickly is to maintain and nurture great relationships with your suppliers and vendors. Work with 3-5 industry-relevant vendors to establish a positive line of credit to begin with. Step 7: Keep your information up-to-date. Make sure you regularly update the major credit bureaus (Dun & Bradstreet, Experian, and Equifax) with your latest information. Step 8: Pay your bills on time. This goes without saying, but in order to start and maintain good business credit, you need to pay your bills when they’re due – if you don’t, it will have negative impacts on your credit rating. One of the hardest things new businesses face is building trust with potential customers. When there’s the option of going with a more established brand that has years of history behind it, smaller businesses often get overlooked. But building trust in the early stages is important if you want to win the business of prospective buyers. Your credibility stretches across your brand, your products and services, and everything else you do, and affects how your brand is seen by the public and your competitors. Part of this is ensuring your business looks credible from the outside. This means having a proper business address and a proper telephone number. However, for small businesses and those just starting out, it’s not always financially viable to get an independent office space – and this is even more the case when you’re running an online business. You might think that a home office is the best option financially and logistically, but it doesn’t always send out the right impression to potential customers. Are you more likely to purchase from a brand that has a business address in an area you know and is prestigious, or from a brand that has an address in a run-down area that you’re not familiar with? Remember here that your first communications with a prospective customer or client will determine the future of your relationship with them, and you want to do everything you can to make sure they trust you and view your business as credible. This is where a virtual office space can come in handy. You get a legitimate business address you can put on your website and stationary and a place to get your mail sent to. Add your virtual office address and 411 registered VOIP number to everything. Put it on your contact page on your website, in the footer of your website, on your business cards, and on your signature line in your emails. This is good marketing so people know how to reach you, but it also shows that you’re organized and gives your business more credibility. When you first start a business, it can feel like there’s a never-ending list of things to do. Getting set up is a lengthy process that takes time, but there are ways you can make things easier by delegating tasks that can be given to someone else. While the thought of outsourcing tasks might make your eyes widen and your wallet quiver, it doesn’t have to be incredibly costly. In fact, as well as providing you with a professional address and phone number, a virtual office also offers services that can make your life much easier as a new business owner. For example, the vast majority of virtual offices have a live receptionist on-site for all their clients. This means that when a potential prospect calls up they’ll reach the receptionist who can then take a message for you, saving you wasted time on any unnecessary calls. When starting a new business, money is going to be at the front of your mind and it’s likely you’ll be snowed under with a to-do list longer than your arm. But it’s important that you set your business up legally and in the right way. That means registering as an LLC, getting any business licenses you might need, and taking the necessary steps to start building business credit. After that, you can focus on nurturing the credibility of your business and delegating tasks to make that never-ending to-do list a little more manageable. With a virtual office, you can get the professional look of a physical address and phone number without having to pay an arm and a leg for an independent office space. If you’re just starting out, this might be the perfect solution to give your business the foundation it needs to grow and thrive.